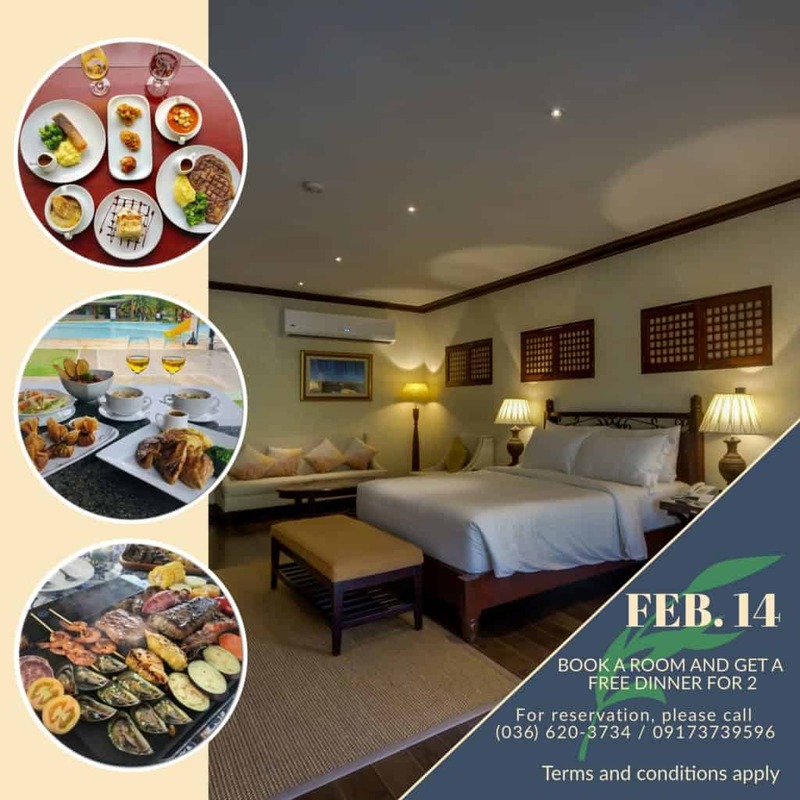 The LOVE month is finally here and we have a sweet and romantic deals for everyone at our restaurant outlets and hotel rooms. We have a free dinner for 2 person at any of our restaurants based on your chosen room if you stay with us on February 14. 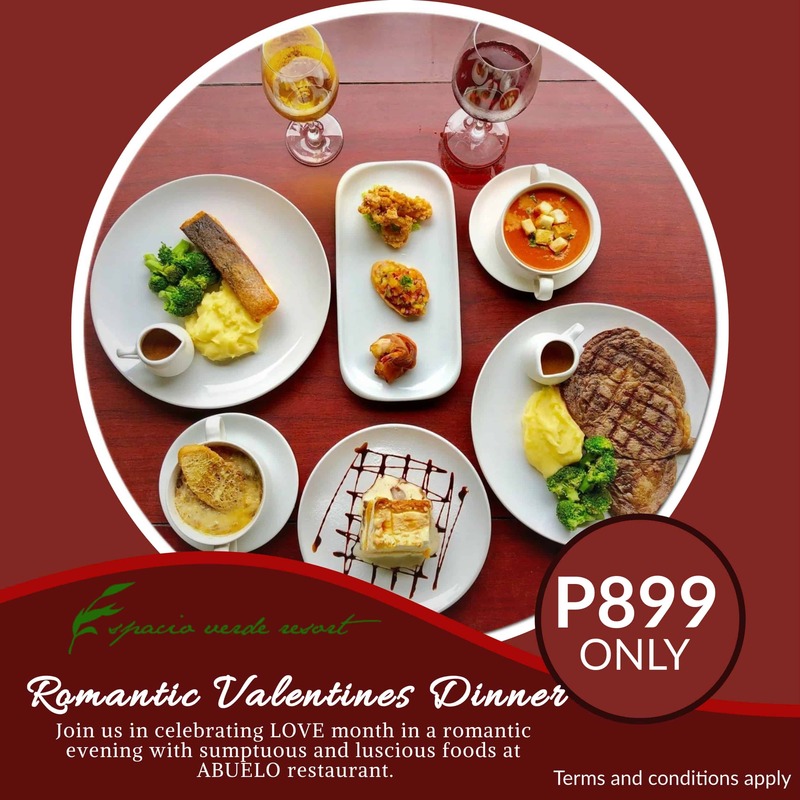 Enjoy a fine dining set up with our Romantic Escape set menu every Friday, Saturday, and Sunday throughout the month of February for only Php 899.00 per person. This is also available on February 14, 2019. 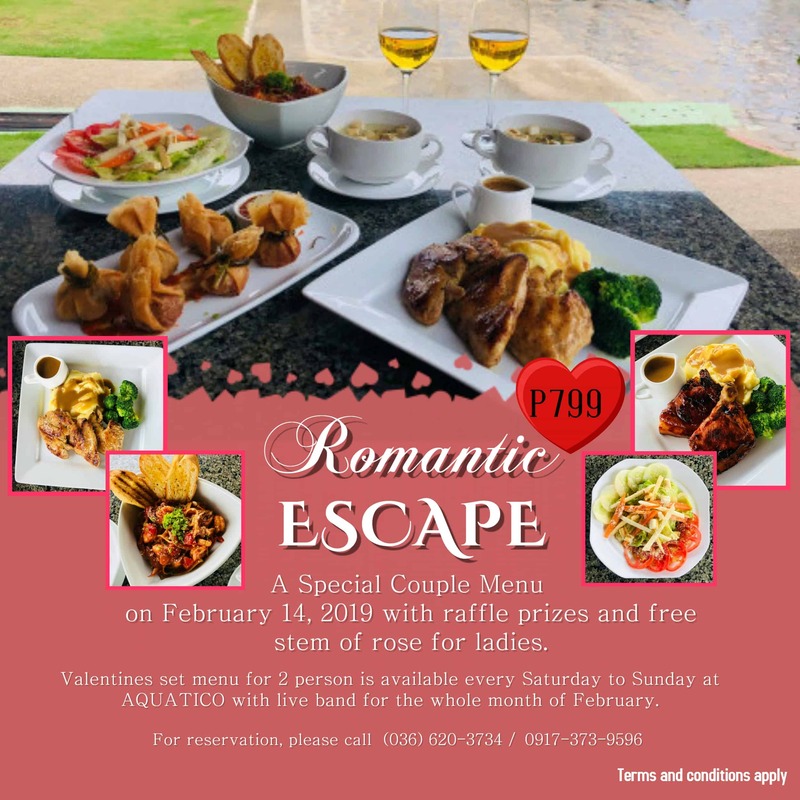 A night with sumptuous cuisines and music is waiting for you at Aquatico restaurant every Saturday and Sunday throughout the month of February with special set menu for only Php 799.00 for 2 person. This is also available on February 14, 2019. 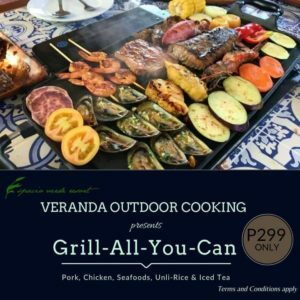 Our GRILL ALL YOU CAN continues this LOVE month at Veranda.